I’ve long been interested in alternative fuel solutions for vehicles. Good as LPG was at reducing running costs, it was never a truly practical alternative with the bulky and inconvenient tanks, the need to start on petrol and switch over to LPG on some systems and the scarcity of LPG equipped stations. Electrically driven vehicles powered by Hydrogen Fuel Cells, with their only by products being electricity and clean water, seem to be the perfect solution. But they are still some way off being a practical option. The necessary infrastructure to supply hydrogen and the difficulty in actually producing it in the first place mean there a still some large hurdles to overcome. Which brings us nicely to battery powered electric vehicles. Hybrid petrol/electric cars such as Toyota’s Prius, Honda’s Insight and (in the US only), Ford’s Escape, have been available for some years and they are becoming increasingly popular. Ignoring the Hollywood glitterrati who jumped on the hybrid bandwagon to give them some pseudo ‘green’ credentials, hybrids offer true savings in running costs and efficiencies that result in improved MPG and worthwhile tax benefits. There are those who berate hybrids as being no better than the better diesels for fuel efficiency but this ignores the fact that hybrids offer excellent MPG across the speed range with reduced CO2 output and less pollution than even the best diesel. Stop/Start systems mean they consume zero fuel when stopped in heavy traffic and at slow speeds some operate on electric power alone making for even better fuel efficiency on the stop/start work commute. In the UK their low CO2 ratings results in Road Tax at £0 for the best hybrids which fit into the <100g/km of Co2 Band A. I own a 2006 Prius which is a Band C car (outputs 120g/km) and that means I pay a mere 315/yr for Road Tax! Compare that with the £190 I was paying on our previous car and that quickly adds up to huge savings. We drive an average 12,000 miles per year. Our previous car managed about 30mpg on longer journeys but that dropped to 20mpg when it was used solely for the school run and trips to the local supermarket . That equated to an annual fuel bill of approximately £2400. Compare that with the Prius which is averaging 55mpg and manages this every day, short local trips, long motorway runs it makes no difference. That means a fuel bill of about £1000/yr. A saving of £1400/yr plus the £175 road tax saving. Not only are their cost savings. 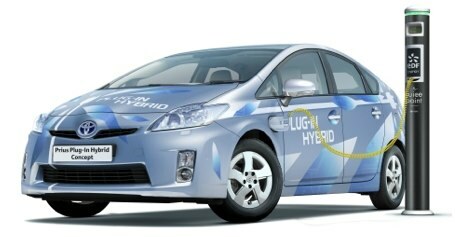 Hybrids can offer a completely different driving experience. Toyota’s Prius has an EV mode that allows the car to be driven at up to 30mph on battery alone for short periods. This mode offers near silent driving, an odd but distinctly pleasurable change from the norm! But this year we will see the next leap in electric technology with the launch of Plug-In Hybrid Electric Vehicles (PHEV’s) and true electric only (EV) vehicles. PHEV’s are hybrid vehicles much like the Prius but they differ in having a larger battery system that can be charged from the mains and they are driven entirely from the electric motor. The petrol engine is there purely to re-charge the batteries when they become depleted away from mains power. Thus these are in effect an extended range electric solution or Range Extender as they are becoming known. Re-charge overnight or top-up at public re-charge points and you will have a 20-40 mile range from a single battery charge and more if topped up in between. But if you need to venture further afield you can do so with the conventional petrol engine coming into play to keep the batteries topped up and no fear of being left stranded without battery power. These PHEV’s can offer fuel consumption in the 100mpg+ range with fuel economy increasing if you stay within the range limits of the battery charge alone. Of the PHEV’s that are expected first, GM have the much anticipated Volt nearly ready to go. 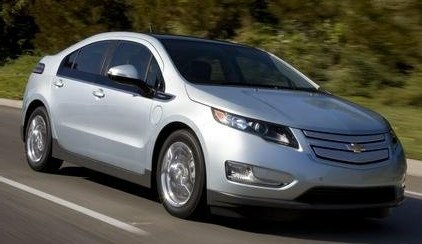 The Volt was designed from the outset as a PHEV. With its futuristic shape and sci-fi dashboard it remains to be seen if it will be welcomed or seen as too big a step. GM have chosen to store the batteries along a central spine resulting in a 4-seater even though it is a mid-sized 5-door hatchback. Toyota who have lead the field in hybrid technologies have a plug-in version of their current Prius which offers similar functionality to the Volt but uses the latest Prius hybrid platform. The next stage is a true electric only vehicle. The issues that have plagued their proliferation here are the long standing issues with battery capacity and charge times. Although battery technology is advancing, it is still a long way behind what is ideal for a true electric replacement. Tesla already have an electric sports car available but it’s an impractical 2-seater and a very expensive one at that. However it has demonstrated the benefits of electric powered vehicle, near instant power, oodles of torque and a near silent ride. Indeed it is so good that it out performed a Lotus Elise, the car with which it shares its platform and body. Even Clarkson was left speechless! Mitsubishi, Nissan and Renault have all announced they will be producing electric only solutions. Mistubishi’s iMiEV, a small city car with a range of 100miles, is being trialled currently with sales starting soon and Citroen plan to offer a re-badged version. Nissan’s Leaf is a larger 5 door family hatchback and will be launched this year. With a 100-mile range it offers a solution that would fit the lifestyle of a large proportion of families but as with the iMiEV, the drawback is those occasional journeys that require more range. It’s fine if you are a two car family, a deal breaker if you don’t as any journey over 100miles necessitates a pit-stop to re-charge somewhere! So PHEV’s look likely to become the most popular solution in the short term. They offer none of the potential drawbacks yet provide immediate efficiencies and reductions in the cost of motoring. With prices in excess of £1/litre already, few of us can afford to ignore how much fuel our cars consume and so any solution that offers immediate reductions in consumption are compelling. To those who argue that electricity isn’t clean and is still produced in dirty power stations from coal and gas, yes that is true. These fossil fuels cannot be replenished, that is for certain but it should be borne in mind that electricity is THE only power source that has the option of being produced from clean sources such as wind, solar or nuclear power. PHEV or EV vehicles bought now can only get cleaner, vehicles that consume petrol or diesel are using a fuel source that is both polluting and disappearing fast. Whereas wind and solar energy are of limited benefit, nuclear power is the only solution we have open to us that offers a clean, continuing power solution. If all electricity was produced by Nuclear power stations and all vehicles used electricity we could not only slow the inexorable rise of CO2 emissions that cause the greenhouse effect but better still we could vastly reduce them. Nuclear waste is still a problem that needs addressing but it will at least buy us the time we need to find a solution at the same time s halting our destruction of the scarest resource of all, planet Earth! Use this link to trackback from your own site. Griffblog | The diary of a 40+ something technology writer, gadget geek and computing nerd!